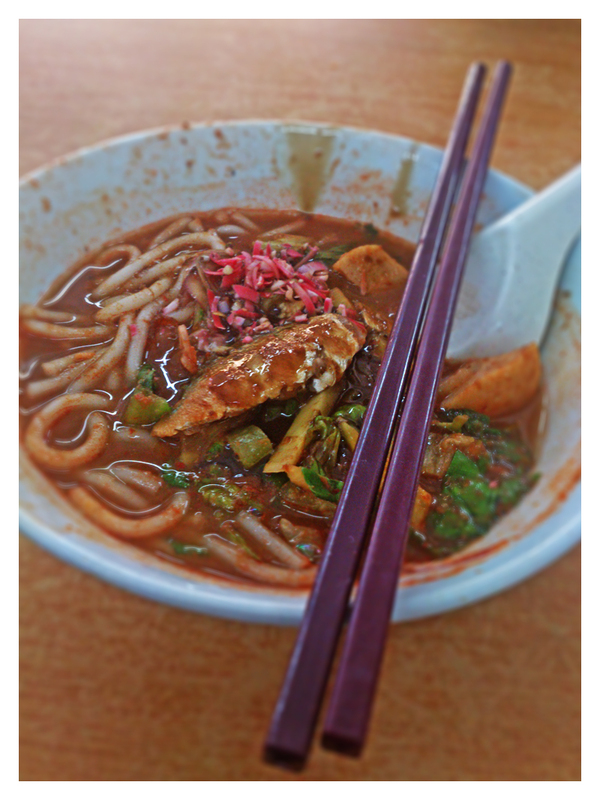 Curry Mee is a popular local food here which can be found in most coffeeshops or hawker food courts in Penang. It is a type of yellow noodle dish served with cubes of pig’s blood, cockles, cuttlefish, shrimp, and fried tofu puffs, all of these in a coconut milk curry gravy. 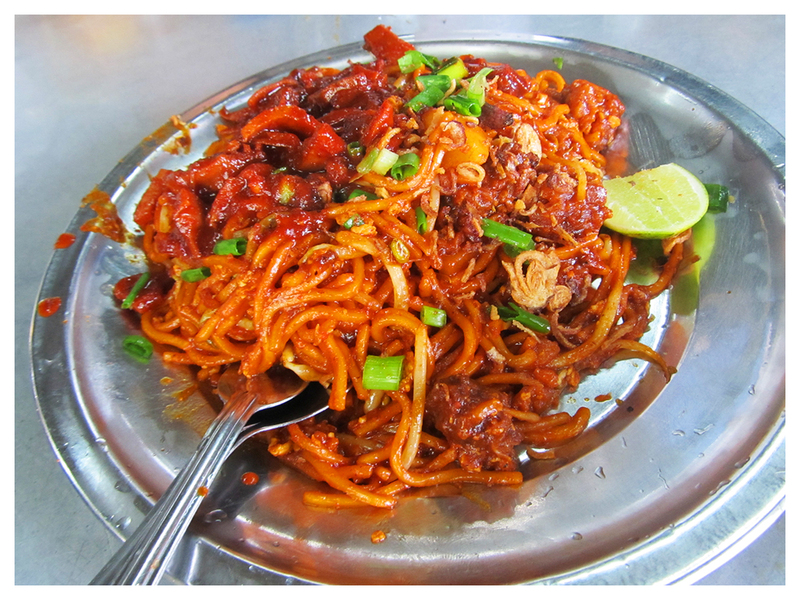 The Mee Goreng or fried noodles dish is a common dish in Penang and usually fried with eggs, vegetables and cuttlefish. 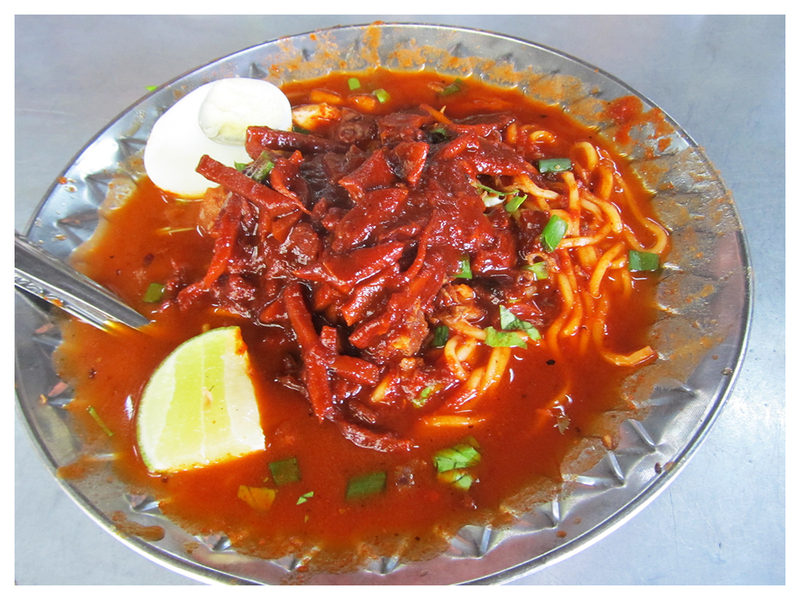 The Mee Rebus (literally “boiled noodles” in English) is a popular noodle dish popular in Malaysia, especially Penang. It is typically made of yellow egg noodles, wwith a spicy slightly sweet curry-like gravy. The gravy is made from potatoes, curry powder, water, salted soybeans, dried shrimps, and peanuts. Penang laksa or commonly known as asam laksa here is a sour, fish-based soup with noodle usually made with mackerel soup and its main distinguishing feature is the asam or tamarind which gives the soup a sour taste. The fish is poached and then flaked. 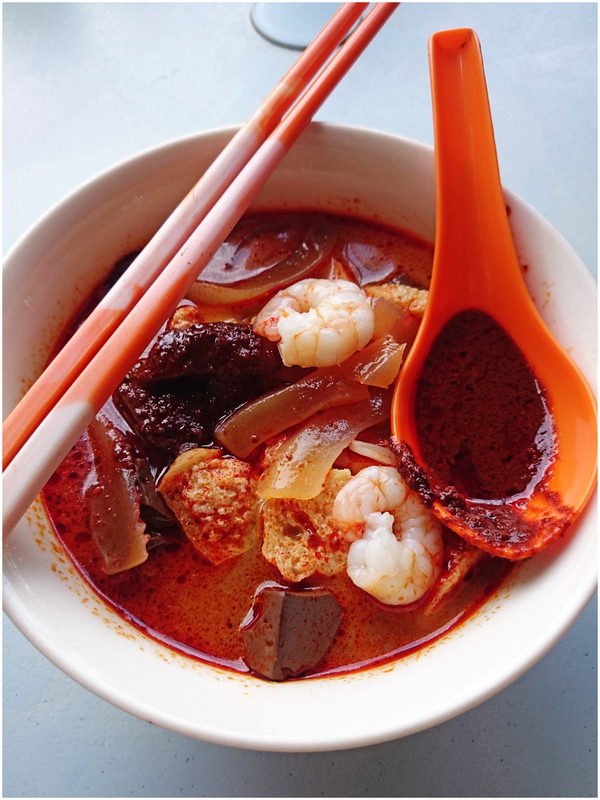 Besides the fish, asam laksa typically include lemongrass, galangal (lengkuas) and chilli too. 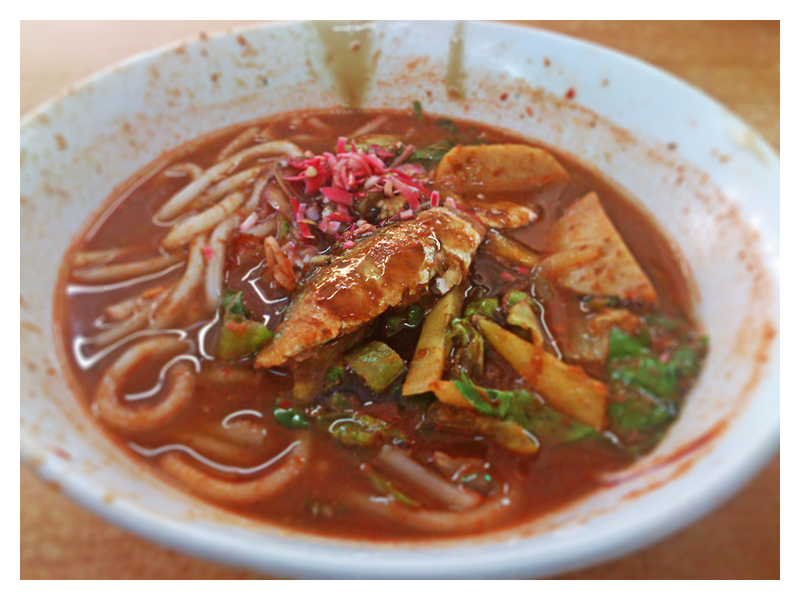 A popular delicacy for both locals and foreigners, it is one of the must-try hawker food in Penang. 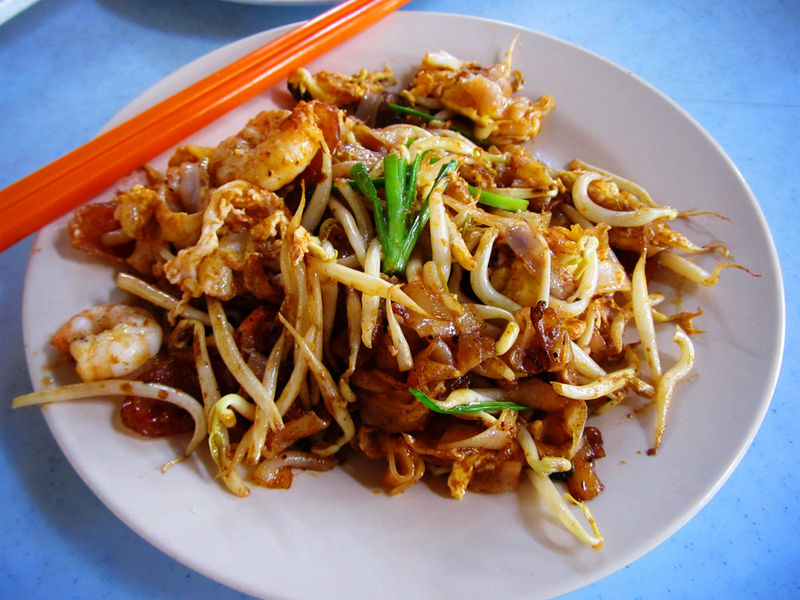 Char Koay Teow is the top and most popular food which one must try when visiting Penang. 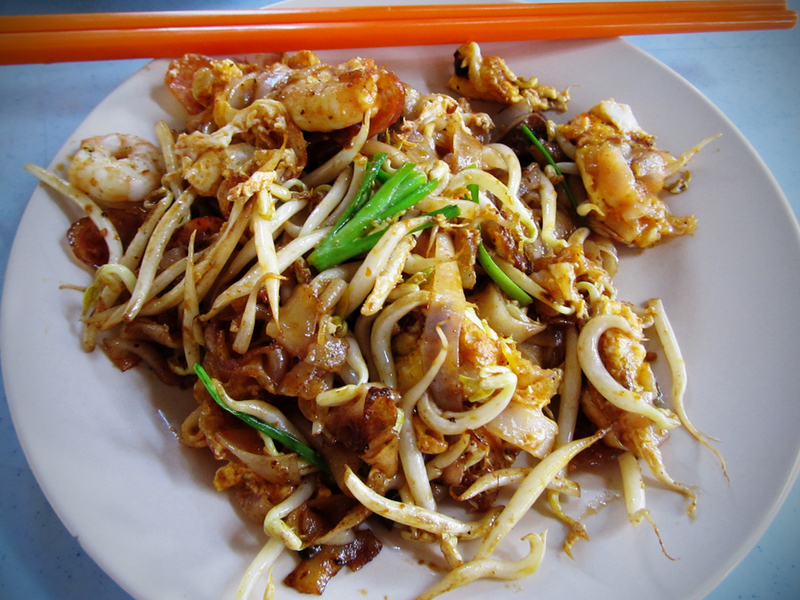 There are also quite a number of Char Koay Teow stalls in Penang with each stall having their specialty sauce and ingredients. Liked by both locals and foreigners, Char Koay Teow is made from flat rice noodles, which are stir-fried over very high heat with soy sauce, chilli, and most often, with eggs and prawns too.